Destiny 2 is out now, but it's the Xbox version of the original game that just got a big ol' heapin' hunk of content thanks to the expiration of PS4 exclusivity. A handful of weapons, armor, quests, a Crucible map, and a Strike - all formerly belonging solely to the realm of PS3 and PS4 players - are now available on Xbox 360 and Xbox One. So what took so long? Sony and Activision have a partnership that allows for PlayStation-exclusive content to stay exclusive for "at least a year," and it looks like that "at least" part is the key phrase here. 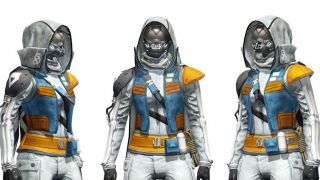 While vanilla Destiny's content stayed locked to PS3 and PS4 platforms for one year, Sony and Activision agreed to keep content from The Taken King PS-exclusive for two. The companies went back to one year for Rise of Iron, hence PS-exclusive content from both Taken King and Rise of Iron arriving simultaneously. I'd expect the same or similar to happen over the course of Destiny 2's lifespan. Currently, the plan is for PS4-exclusive content to stay on Sony's console until "at least Fall 2018."